Our current project celebrates the mystery surrounding the artwork of HARRIS BURDICK. We’re open for submissions now, and full details can be found HERE. Our Christmas Countdown project for 2017 was inspired by the opening line of Terry Pratchett’s seasonal offering Hogfather. Full details can be found HERE. June 2016 saw the culmination of our collaboration with The Royal Tunbridge Wells Art Fair (Formerly SEEArt), where poetry written by members of the group was used as inspiration by local artists to create artwork on the theme “Tribal”. The artworks, together with the poems inspiring them, were prominently displayed during the fair as well as being featured in the local press. Discussions are already underway for a bigger and more coordinated collaboration next year. During the May bank holiday weekend Tunbridge Wells Writers were once again involved with UNFEST. Having contributed in the past with spoken word performances and a poetry and music ‘fusion’ event (see below) we added art into the mix in a takeover that saw the gallery of the TW museum packed for performances of live music, poetry and fiction readings, and an art installation linking Tunbridge Wells past and present. The event was a resounding success, and will undoubtedly lead to further collaborations with the museum and gallery. While not strictly a Tunbridge Wells Writers project, “FestFiction” is something of an offshoot, combining the collective skillsets of several members who met through the group. FestFiction contributed not only to UNFEST, but also produced its own art and fiction exhibition for Perk & Pearl gallery, and has since hosted a spoken word slam and performance event as part of The Forum’s “Sunday Sessions”. 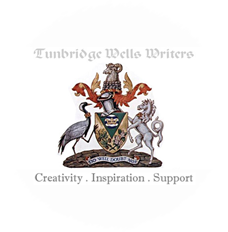 We look forward to new FestFiction collaborations, and hope that many similar projects will emerge from networking opportunities provided by Tunbridge Wells Writers. Our previous e-book, Fright Night, is also available from Smashwords as a FREE download. You can grab a copy by clicking the cover image, if you hadn’t worked that out already. Fright Night brings together all of the stories from our live reading night for Halloween 2013. Our first collaborative poetry project, ‘Lipschtick’, went live online in May 2014 in the form of an interactive Poetry Oracle. It also featured as an installation in the Artist Unveiled ‘Perk & Pearl’ gallery as part of the Tunbridge Wells Unfest festival. To access the Lipschtick Oracle click HERE or to access the Mind Your Head gallery / Artists Unveiled website click HERE. In addition to ‘Lipschtick’ we also contributed to Unfest with two evenings of music, poetry and prose at Javabean Cafe. Details HERE. Our online Advent Calendar, posted throughout December 2013, was a major success, sparking huge interest in the group with record breaking website ‘hits’ and two multi-page spreads in the local Courier Newspaper. The calendar was followed up in 2014 with a “Christmas A to Z” and in 2015 with a 24 day countdown on the theme of “Presents”. Navigating these babies can be a daunting task, but for those with the stamina HERE‘s your starter for 24. If you navigate right to the bottom of each day’s blog listing you’ll find arrow keys below the “comment” box to get to the next post in the series. For “Presents” just type that word into the site’s search engine and all your Christmases will come at once!